Newham Council have been accused of social cleansing by a Stoke housing association contacted by Newham, who asked them to house some of their needier tenants. 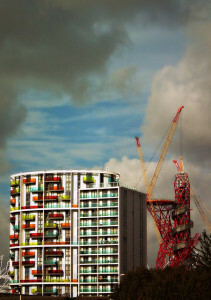 Lack of social housing and overcrowding in the borough means the council is forced to house families in the private rental sector – where rents are increasing, particularly in this Olympic borough. (On the Today programme this morning, Housing Minister Grant Shapps said rents aren't rising; Full Fact dug up that Mr Shapps has been looking at how rent went down in November and December without acknowledging that rents generally fall in winter. Seasonally adjusted, rents nationally are up 4.3% year on year.) Housing benefit caps no longer meet market rents in the borough, says Newham, forcing it to look elsewhere to house up to 500 families. When the council can't find enough properties cheap enough – many private landlords also don't accept tenants on housing benefit, cutting the number of homes available – it's looking at social housing up to 170 miles away. This shoving of poorer Londoners to outer boroughs – and, evidently, beyond – was foreshadowed by none other than Communities Secretary Eric Pickles's office last year, and there's been recent evidence that poverty levels in outer London are rising as families move to find cheaper accommodation. This in turn puts more pressure on councils to find housing and supply school places, social services etc. Shelter recently found that renting a typical two bedroom home is unaffordable unless you earn over £52,000. The Mayor of Newham, Sir Robin Wales, defended his council's actions on Radio 4, saying they're only trying to move families to places they have a link with, and that finding people proper homes instead of leaving them in bed and breakfasts is the better option. While trying to send people to Stoke is stupid (anyone with a job, and the majority of people receiving housing benefit are in work, will instantly become unemployed for a start), with a desperate shortage of affordable housing in London, it's possible to see the strange logical path Newham has taken. We also shouldn't think this is all Newham's idea: back in October 2010 some councils were reported to be looking at moving residents as far away as Hastings. We'll be looking at the problem of rising rents, affordability and how the Mayor could tackle the problem later in the week.